Roswell Photographic Society has a Call for Entries for its 17th Annual Open Juried Competition and Exhibition, which will be judged by Tony Casadonte of Lumiere Gallery. Check out the the details, today is the last day to enter, and the competition is open to all photographers, not just members of RPS. The Conversation Center for Art and Historic Artifacts are presenting a symposium on "Photographs: Identification and Preservation" on October 23rd and 24th. 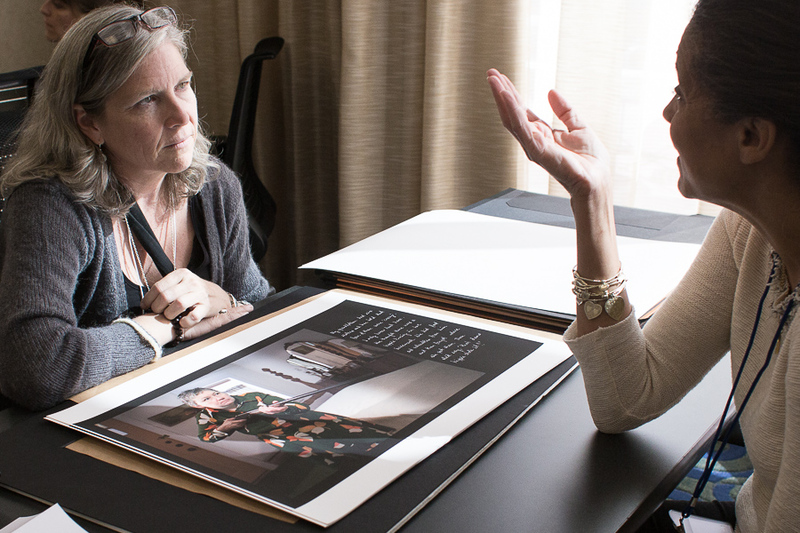 Hosted and co-sponsored by Atlanta University Center & Robert W. Woodruff Library, the weekend will "focus on the fundamentals of identifying and caring for photographic collections. Through lecture and hands-on demonstrations, topics will be intertwined over the course of the program to give participants a holistic view of identifying photographic materials, housing and caring for these collections, developing appropriate handling and display procedures, and establishing safe storage environments." More information about this program and online registration will be available soon at www.ccaha.org/education/program-calendar. 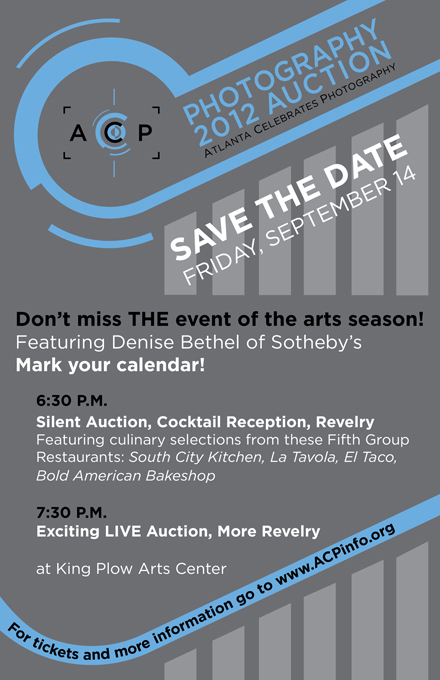 [Save the Date] ACP Photography Auction – Sept. 14th! 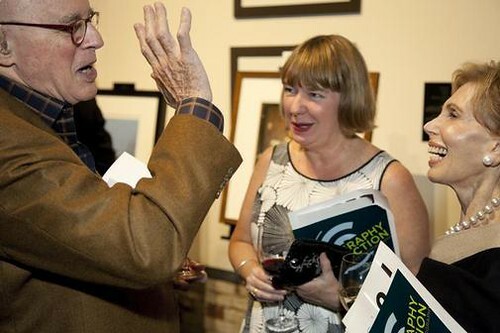 Magnum Photos has a gallery of 93 images from Martin Parr's latest book project "Up and Down Peachtree", and it's great to see the following two images that were taken at our Photography Auction Gala in 2010. 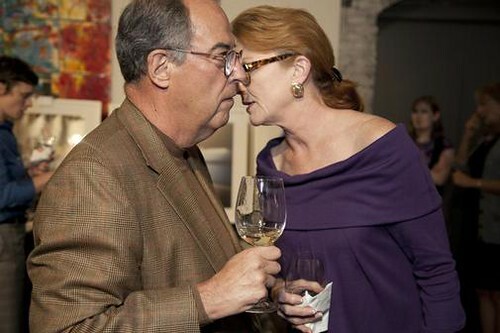 Can you name the auction attendees in Parr's photos? Dave Bias Talk from Jennifer Schwartz on Vimeo. 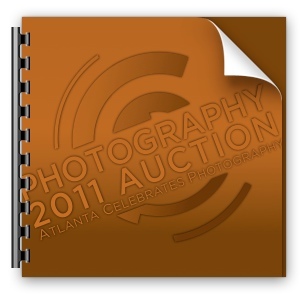 ACP 2011 Photography Auction Catalog (PDF) Now Available! If you haven't already purchased your tickets to the sixth annual ACP Photography Auction gala (and even if you have! ), you'll want to check out the ACP 2011 Photography Auction Catalog (pdf) to see what will be available on Friday, Sept. 23rd at King Plow Arts Center. Submit one or two FRAMED photographs for review by Annette Cone-Skelton. Ms. Skelton will select and curate a dynamic show for exhibition in the APG gallery. Work selected for this show will be exhibited in the APG Gallery and promoted in conjunction with Atlanta Celebrates Photography. The show will feature work of four to six photographers. We are looking for a strong, cohesive body of work from each photographer. 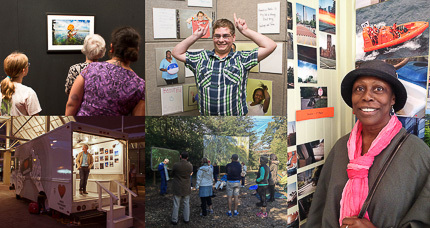 The exhibit is open to any style, subject, method or installation that can be accommodated in our gallery. There is no theme. Selection is at the sole discretion of the Juror. The show will feature work of four to six photographers. We are looking for a strong, cohesive body of work from each photographer. The exhibit is open to any style, subject, method or installation that can be accommodated in our gallery. There is no theme. Selection is at the sole discretion of the Juror. With the launch today of the online Festival Guide, we wanted to draw attention to a few events and exhibitions that are currently on view, plus those that are opening this week. * After: Images From Haiti at ECIT Gallery | Level 2, Exhibition begins Friday, Sept 10th. * David Hilliard & Joseph Guay at Jackson Fine Art, opens on Friday, Sept. 10th at 6pm. * Portfolio Show & Senior Portfolio Show from Gwinnett Tech students at ART Station, Opening Reception, Saturday, Sept. 11th, 6:30pm.